A trust is a written legal document that operates like a contract, creating an arrangement where a “trustee” holds legal title to property for the benefit of a “beneficiary.” Just as there are many different kinds of contracts, there are also many different kinds of trusts. 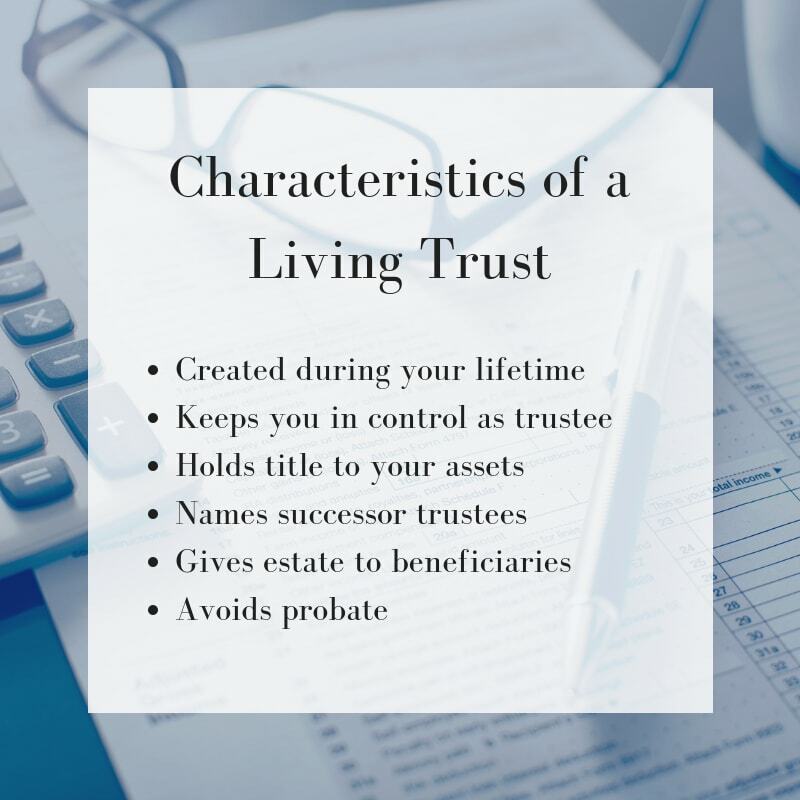 A living trust (also called a revocable trust or an inter vivos trust) is a trust you set up during your lifetime and over which you (can) remain in control as trustee. In other words, a living trust does not change how you control your “stuff,” nor does it change your taxes. Because it is revocable, you can also change the terms of the trust at any time. After your death, however, a fully funded trust can avoid the need for the timely and expensive legal process known as probate. Upon your death, all property titled in the name of the trust can pass to your named beneficiaries outside of probate. You can also name one or more “successor trustees” to manage the trust after your death or incapacity. In Oklahoma, probate usually takes four months to a year, and even a small estate can cost $4,000 or more to administer. With a trust, however, assets can generally be distributed in 30 to 60 days after your death for a fraction of the cost. And even more importantly (for some people), trust administration is private, whereas probate documents are freely available to the public. Probate avoidance is just one of the many differences between a trust and a last will and testament. Although a trust may often be the best option, you should speak with an attorney to figure out which estate planning document would best help you achieve your goals. What other types of trusts are there? None of these trusts are quite as simple as explained above, so if you are interested in more information about these estate planning documents, contact the experienced Oklahoma City estate planning attorneys at Postic & Bates for a free, no-obligation consultation. You can also get more information about these trusts and other estate planning documents by downloading our FREE Estate Planning Guide. Simply click the button below.